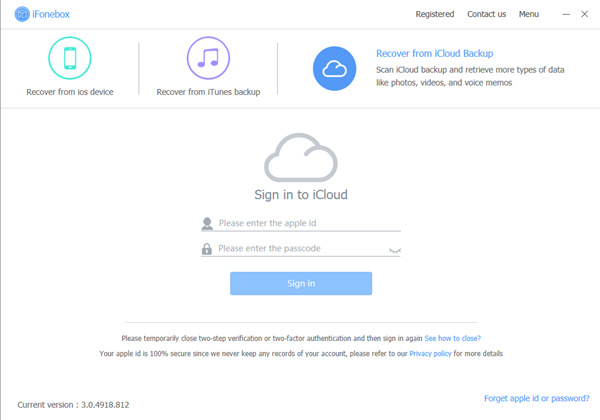 How to recover photos from iCloud without iPhone? I broke my iPhone. I decided to get an android phone in its place. I had all of my photos backed up in the iCloud, but now I have no apple devices. Can I still recover these photos and save them to my computer? Broken iPhone and not intend to use iOS device anymore? If you have the same problem, you’ve come to the right place. 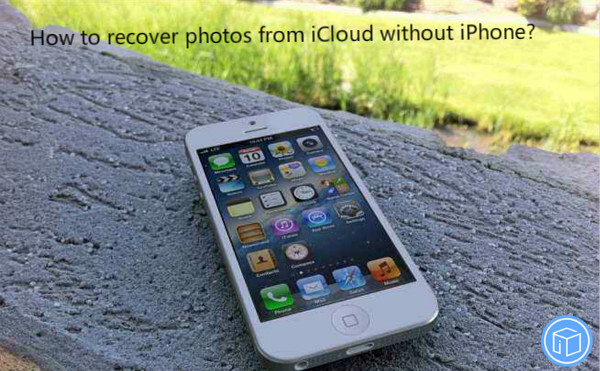 Here I’m going to provide you with 2 possible solutions to recover photos from iCloud without iPhone. You can login icloud.com and check out your photos stored in iCloud. Then, choose a picture and download to desktop. You could access photo stream photos from the last 30 days by signing into your iCloud account on your computer and enabling photo stream. 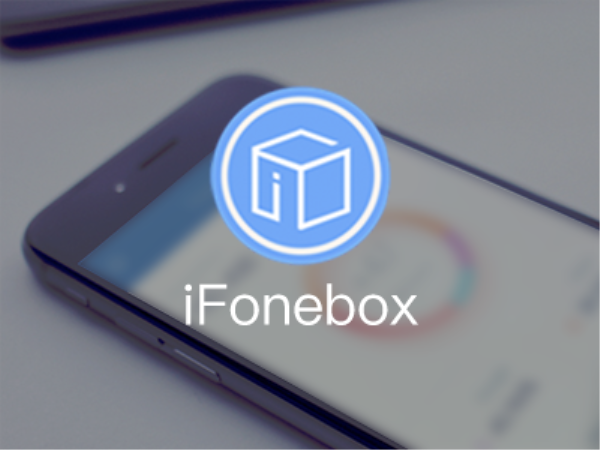 iFonebox is a multifunctional software that integrates recovery and back data up. 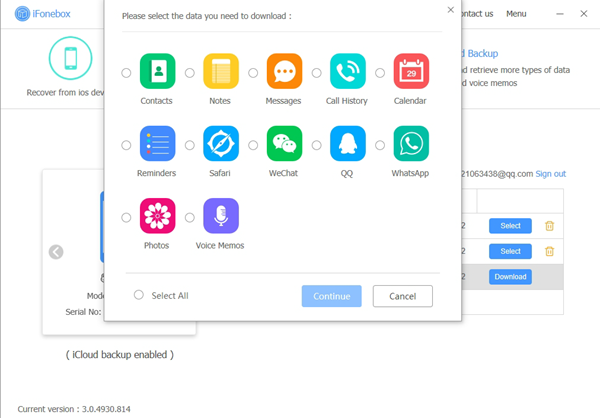 It’s capable of regaining/transferring up to 17 kinds of data like contacts, texts, notes, voice memos, videos, safari history, WeChat messages, WhatsApp conversations, etc. With the powerful iOS backup extractor, you’re allowed to directly and selectively restore all the photos from iCloud backup without iPhone. It’s 100% safe and the progress is as easy as pie. You can download the program from our website or here. There’re two available versions: Windows version and Mac version. Please make sure to download and install the right version for your computer. 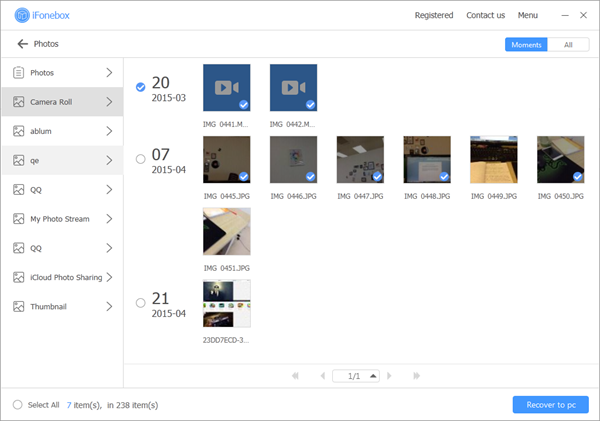 Then I will show you the detailed instructions to get images back from iCloud without iPhone. How Can I Transfer Only Photos From iTunes Backup To Computer?